An endless wait is what fell upon the Mhatre family on 3rd Feb 1984, causing a total eclipse, when this unsung hero laid his life to rest serving on a deputation overseas. But it was not a regular or accidental death, it was a brutal murder. A bright, young, family man serving his country overseas was tortured to death for no fault of his. Ironically, on August 15, 1982, when he was transferred to Birmingham, the family was thrilled because it represented the first safe post after years in troubled spots. He was in Dhaka (in undivided Pakistan) at the time of the Indo-Pakistan war in the mid-’60s and was, like other Indians, placed under house arrest. He was in Iran during the thick of the riots when the Shah was removed and Ayatollah Khomeini took over.As a result, he was often separated from his family. In Birmingham, however, the family was finally together. Tragically his daughter Asha’s birthday fell a day after her father was kidnapped. Maqbool Bhat was hanged in Tihar Jail in New Delhi, as a direct result of the kidnapping and subsequent murder of an Indian diplomat in Birmingham in February 1984. The incident of killing of the Indian diplomat changed everything, and he was hanged in retaliation.” – Dr. Shabir Chaudhary, one of the founding members of JKLF. It is a pity that not many of us have correct awareness and we tend to get swayed by the sentiment generated in favour of rebels like Maqbool Bhat, who got carried away in the tide of violence when they were young and impressionable. They did not realize then that Pakistan had no love loss for Kashmir or its people; its objective was to only use the state/Kashmiris as a tool to disintegrate India. In fact, later Maqbool had publicly stated that the military rulers of Pakistan had never supported the peoples’ armed struggle in Kashmir and he and his comrades were forced to flee from Pakistan as he became the target of brutal torture and humiliation at the hands of Pakistan itself. After the spilling of innocent Kashmiri blood in streets of Kashmir valley for long, the designs of Pakistan are very clear. Pakistan has only one interest in Kashmir and that is to secure its water supply. Indians have not been able to connect the dots for the past 70 years as to why Pakistan is fighting so hard for Kashmir. Also, Pakistanis are also unable to find the true nature of their military. From the beginning, the Pakistani Army wanted a kingdom of its own. The Pakistani Army started the Nazi way of propaganda machinery. First Pakistan Army established Inter-Services Public Relations (ISPR). 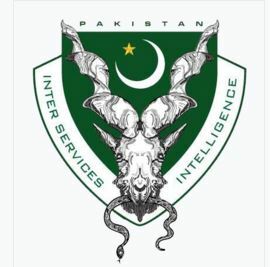 They also established ISI for the same reasons i.e. to actively take up operations across the border. Initially, the aim of ISPR was to manipulate their own people into submission. Anyone opposing was prosecuted. Punjabi dominated Pakistani Army did not even spare their own brothers at arms in East Bengal rifles during Operation Search Light. In East Bengal, they not only killed their brothers but also systematically raped their women and children. They are practicing the same in Baluchistan and Sindh provinces. They are practicing the same in Baluchistan and Sindh provinces. Like Ravinder Mathre, India has lost many sons of soil due to plots orchestrated by ISI. After attaining superiority at home, there was a requirement of securing resources for their kingdom. 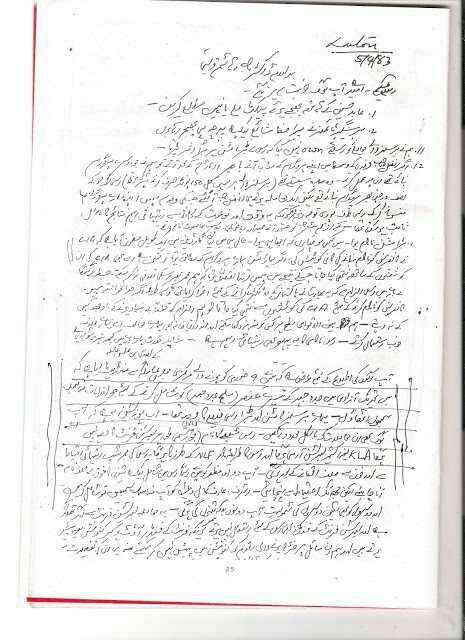 This was attained by the trans-border operations of ISI. The sin was not to carry war campaigns but the systematic brainwashing of first Punjab and then Kashmir. ISI getting its hands dirty in Mumbai blasts conniving with Dawood Ibrahim is well known. If the people of Pakistan do not realize now, when will they realize the consequences of the mistakes their leaders have made in the past. This is the time to realize and work for dislodging the supremacy of the Pakistani Army. There are no better people than the people of entire Pakistan. Listen to the call of non-other than Quaid-i-Azam and stand up against destroying peace in the nation.